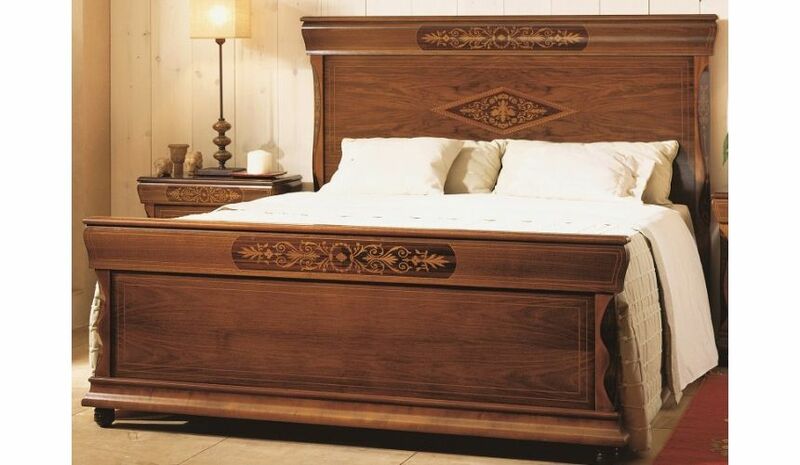 Uplift your bed room settings with the captivatingly designed Panel Bed with Nightstand. 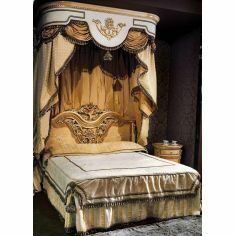 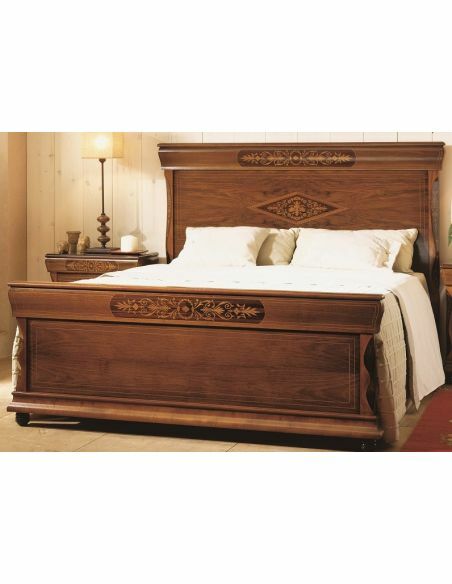 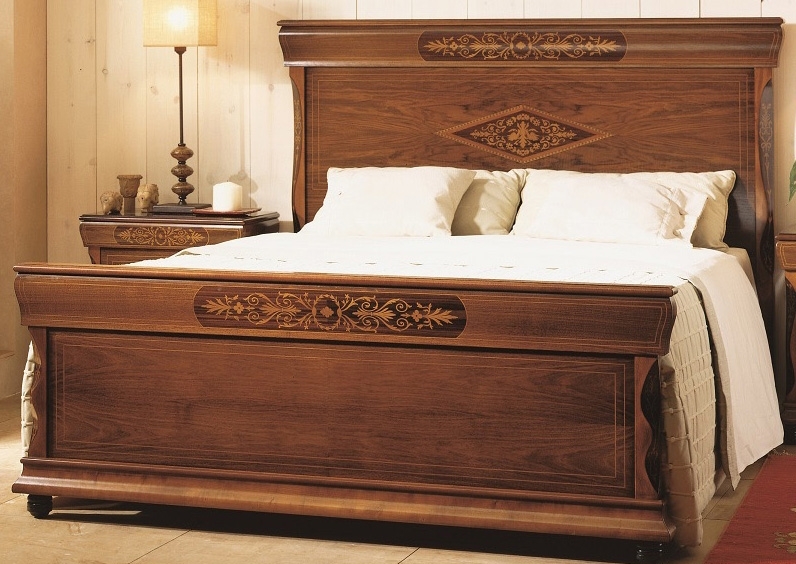 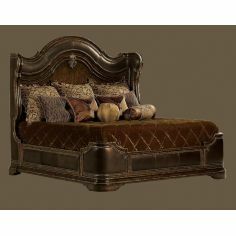 This bed features a huge headboard with decorative detailing on the crown as well as on the front. 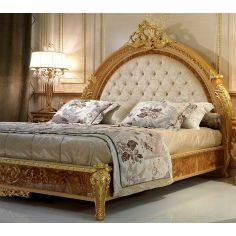 Bun feet and immaculately curved corners turn up the style quotient. 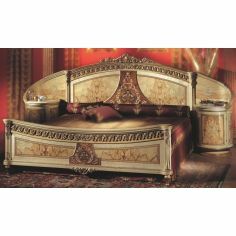 The nightstand, which features artistic detailing, provides a perfect display and storage space for your belongings. 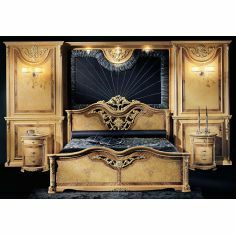 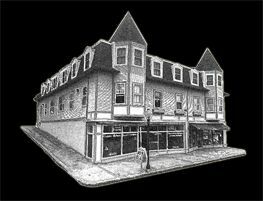 83 1/2" x 85 3/4" x 57 3/4"